Does Inzi harbor any bias against Fawad Alam? 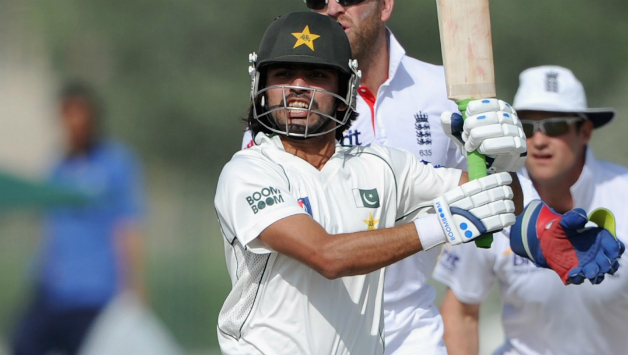 The exclusion of Fawad Alam from the squad for the test series against England has raised many questions. Former test players, including former captain Wasim Akram, have questioned this decision saying it was ‘beyond comprehension’. Many fans have slammed the decision as yet another example of nepotism reigning the corridors of Pakistan Cricket Board. They especially point fingers at the inclusion of Imam-ul-Haq who is the nephew of the Chief Selector Inzamam-ul-Haq. Fawad Alam, 32, seems to be in good form and has been scoring runs in domestic cricket. His batting average stands at 55.37 in first-class cricket. Imam-ul-Haq on the other hand, though quite talented, is only 22 years old, and has an average of 43.57. On top of having a good form, and batting average, critics argue that Fawad Alam brings experience to the team which will be needed on such a crucial tour. Imam-ul-Haq lacks such experience. So does the exclusion of Fawad Alam really means Inzi is harboring some sort of bias against him? Why did he prefer Imam-ul-Haq over Fawad Alam, is a question that merits a convincing answer. Inzamam has kept mum over the issue and has not released any statement in this regard. The decision has its supporters though. After PSL, the dynamics of Pakistan cricket have changed, they contend. Talented youngsters have overshadowed the role of senior players. “If someone is talented, s/he should not be negatively impacted just because s/he is relative of a PCB official”, they argue. In order to step into the world of modern cricket, Pakistan will have to bank on its young talent a lot more. Imam-ul-Haq proved himself when he was given a chance in ODI. It is yet to be seen how he conducts himself in the pressure games against England. As far as Fawad Alam is concerned, his inclusion or exclusion from the team should be viewed independently from that of Imam-ul-Haq or any other youngster. The exclusion of Fawad Alam, though unfortunate for him personally, is not a bad omen for Pakistan cricket.